Glo has stepped out of stingy data plans service, trying to let other networks provide to buckle up for the fight because they want to be the best in Nigeria. Other networks provide like etisalat, mtn and Airtel offers affordable data plans to their customers, eg 1.5gb for N1000. But glo has break the record and also warned them to be ready as they give out N1000 for 2gb. But the problem is about their poor network, many people have been complaining for the issue of poor network from glo, however you can still managed it if you want to go for this data plans. For soft Internet users, enjoy glo 2gb of data with N1000. If you are the type that use the Internet very much, i think 18gb will be a cool deal for you which will last you for one month. This particular data plan goes for just N4000. Meanwhile, if you download a lot, you should look into the 24gb and 48gb data packages which goes for N5000 and N8000 respectively. All the packages above valid for 30 days. You can also get 6gb worth of data with N200 on your glo line. I think this is a cool deal that is unprecedented. Am not done yet, do you know you can get a whooping 10gb worth of internet data with just N2500? 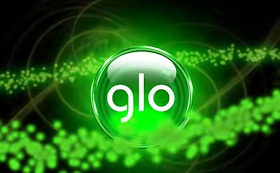 Yes it is now happening on the globacom network and with N3000 you will be offered a huge 12gb data for browsing. To Subscribe to any of the glo data plans dial *777# then select the bundle of your choice. For instance, if you are going for the 6gb for 2k data plan, dial *777# and when the data packages are displayed, type 2 and click OK. Follow the instructions on the screen and you are good to go. Don't forget to drop your comment at the comment box. Remember there is love in sharing.